at the Bicentennial Park outside the Civic Center. 127 NW 27th, not far from Bicentennial Park. on the east side of the Civic Center. are invited to bring lawn chairs. during the Paris Summit, Nov. 30-Dec. 11.
of the Earth Holder activities. for and with Earth. We will end by 8 a.m.
We think that the earth is the earth and we are something outside of the earth. But in fact we are inside of the earth. Imagine that the earth is the tree and we are a leaf. The earth is not the environment, something outside of us that we need to care for. The earth is us. Taking care of the earth, we take care of ourselves. When we see that the earth is not just the environment, that the earth is in us, at that moment you can have real communion with the earth. But if we see the earth as only the environment, with ourselves in the center, then we only want to do something for the earth in order for us to survive. But it is not enough to take care of the earth. That is a dualistic way of seeing. We have to practice looking at our planet not just as matter, but as a living and sentient being. The universe, the sun, and the stars have contributed many elements to the earth, and when we look into the earth we see that it’s a very beautiful flower containing the presence of the whole universe. When we look into our own bodily formation, we are made of the same elements as the planet. It has made us. The earth and the universe are inside of us. Breathing in, Mother Earth is breathing in with me. Breathing out, Mother Earth is breathing out with me. to the health of life on the planet. …to meditate is the most basic, crucial thing we can do. To meditate is to give ourselves a chance to free ourselves from despair, to touch non-fear, and to nurture our compassion. With the insight and fearlessness born from meditation, we will be able to help not only ourselves, but also other species, and our planet. We can breathe with the Earth and we can breathe for the Earth. Many of us are so caught up in our plans, fears, agitations, and dreams that… we’re not in touch with..Earth. We can’t see all the miraculous beauty and magnificence that Mother Earth ceaselessly offers to us. We live in a world of imagination and we become increasingly alienated. Returning to our breathing brings body and mind back together and reminds us of the miracle of the present moment. Mother Earth is right here at every moment, all around us – so powerful, generous, and supportive; so patient, accepting and compassionate, and with an immense capacity to transform. Once we recognize these qualities in Mother Earth, we can take refuge in her in difficult moments, making it easier for us to embrace our fear and suffering and to transform it. With the practice of breathing, we can regain our freedom. We are no longer helpless. We regain our sense of gratitude and reverence for the Earth. about future life on the planet. and then talked about our experiences. that we are separate from the natural world. which houses the Oklahoma Corporation Commission. that use solar panels to create energy. joined in prayer, readings and song. 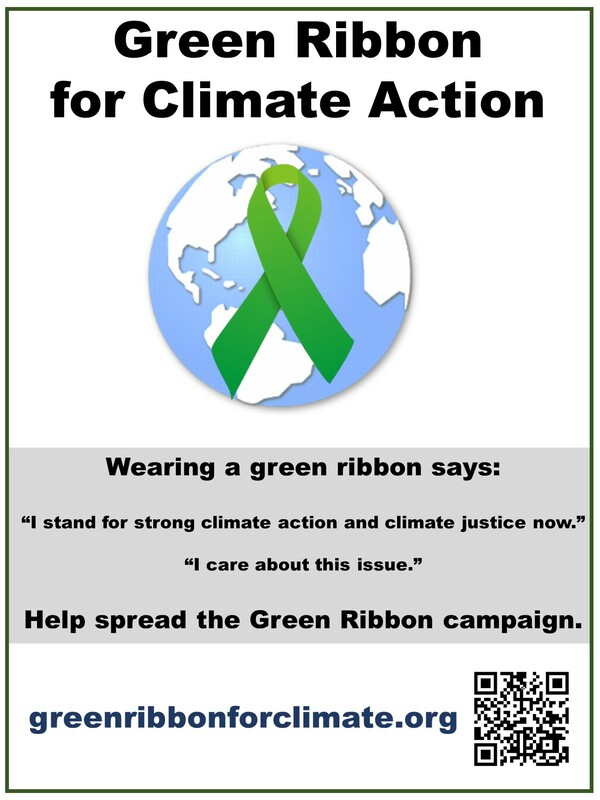 to support humanity if we don’t reduce our carbon footprint. May we be in an attitude of reflection. came life on planet Earth. that there is life on our planet home, 93 million miles away. the possibility for its next breath. In silence, may we stand in awe of this stupendous, magnificent, wondrous miracle that is life. In silence may we stand in gratitude for life on Earth, life with each other and with all creation, powered by the sun. May we be in an attitude of lament. to the cries of injustice. to see the beauty of the world. to hear the cry of the earth. to care for all living things. May we be in an attitude of contemplation. mean skin cancer in Australia? add to hurricanes in the Caribbean? in this great web of life. does not know divided nations. We pray for the Oklahoma Corporation Commission. Grant them insight to perceive that Earth is at risk. Grant them the vision to see the implications of burning fossil fuel. Grant them compassion for all life that suffers due to climate change. Grant them the wisdom to take those actions that will reduce carbon emissions. Grant them courage and empower them to create an environment in Oklahoma where the free and priceless energy of the sun can provide the carbon-free power needed for all to thrive. Grant us hearts that love creation in all its aspects. Grant us courage to acknowledge our failure to care.